single Goodyear T metric 155/13 HARD TO FIND 13 INCH TIRE! 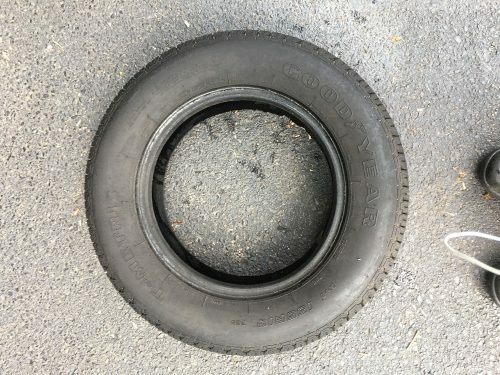 Very hard to find 13 inch tire. Size given is 155R13 with no aspect ratio but they appear to be the same size as a 155/80/13. 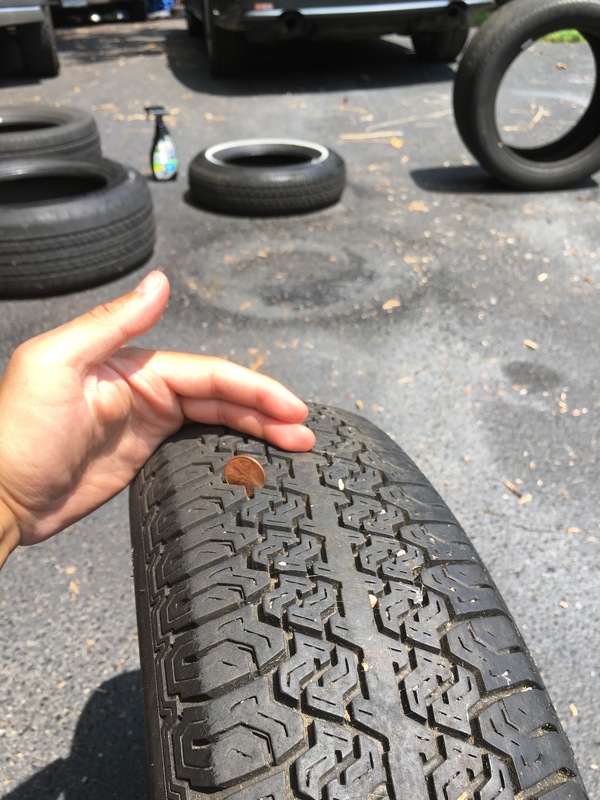 The tire looks nearly new with almost all of the sidewall nubbins intact and what would appear to be nearly all of the tread (see attached photos). No dry rot observed on immediate observation but they are defiantly older tires with a production code of 389 (more than likely meaning they where produced in september 1999) so that should be considered when purchasing . These would be a great find for a classic car having Good Year prominently embossed in the sidewalls since none of the major manufactures seem to make this size any more (trust me i’ve looked). They would also make for a budget friendly tire replacement for an economy car but due to age a thorough inspection would be highly recommended prior to purchase or mounting. delivery within 10 miles of 20817 is available and it is the buyers respobsiblity to inspect tires before purchase or mounting, There are no warranties on this tire either expressed or implied. Also Open to offers.